Divorce can be one of the most difficult challenges a person can face. Once you or your spouse has made that choice, it is critical to find the right lawyer to help you through the process. Although any legal action is stressful, this is especially true for cases involving relationships, children and property. It’s important to know how the family law system in Oregon works. We provide expert employment law services to individuals facing wrongful termination, wage claims, and discrimination, advocating for and supporting our clients and through every step of the legal process. Individuals who want the best estate planning possible should take proper care when handling their affairs. This requires the assistance of an experienced estate planning attorney. Trillium Law PC is located in Beaverton, Washington County, Oregon. We provide personal and professional representation at reasonable rates to individuals and families in the Portland metropolitan area who are facing a wide range of legal issues including divorce, domestic partnership, family law, adoption, wills, and trusts. We also help with employment issues and personal injury. We provide information and guidance to help our clients achieve the best outcome for their situation. Because most of our clients are individuals, we are also experienced at protecting rights for aging individuals in elder law matters, including elder abuse and disabled person abuse. Finally, we fight for fair compensation on behalf of personal injury victims. If we can’t take your case, we will refer you to someone else. Let us help you resolve your problem. Contact us today at 503-352-0731, or if you prefer to send an email, you may do so using our secure online form. We charge a reasonable fee for consultations and other legal services, and we accept Visa, American Express, MasterCard and Discover credit card payments. For our clients’ added convenience, we also offer flexible appointment scheduling. 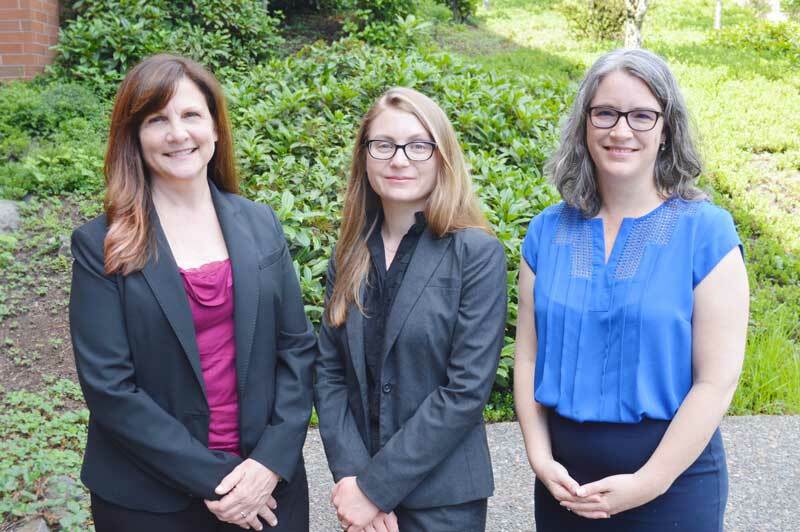 While we represent clients primarily in Washington, Multnomah and Clackamas counties, we can also handle cases in Columbia, Clatsop, Lincoln, Marion, Jackson and Umatilla counties when necessary. With Oregon Circuit Court’s transition to electronic filing we now have the ability to help people in rural communities. In every matter case, whether involving family law, employment issues, or estate planning general litigation, our goal is to provide a high level of personal attention to you in the office and strong advocacy for your legal issue in negotiations and in the courtroom.